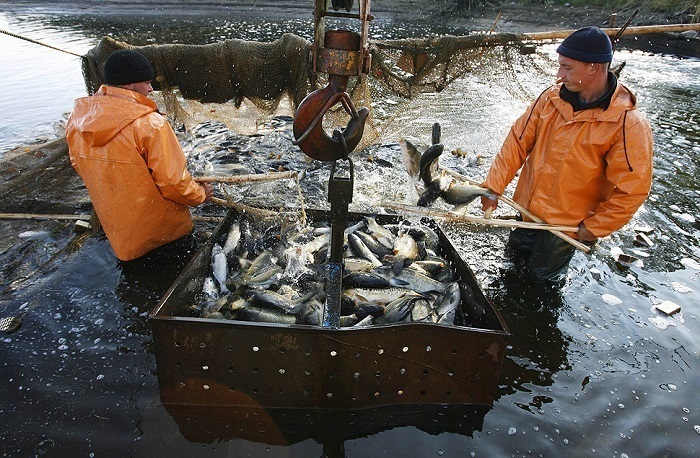 As of 11 September 2018, Russian fishermen caught 3.7 million tonnes of acuatic bioresources (+203,000 tonnes or +5.7%, year-on-year), says Rosrybolovstvo (Russian Federal Fisheries Agency). In the Far East region, the caught totaled 2.6 million tonnes (+223,300 tonnes, year-on-year). In the Northern region – 482,000 tonnes (+46,000 tonnes, year-on-year). In the Western region - 55,400 tonnes (+1,920 tonnes, year-on-year). In the Azov-Black Sea region - 48,700 tonnes (-9,400 tonnes, year-on-year). In the Volga-Caspian region - 31,400 tonnes (-4,500 tonnes, year-on-year). In the foreign states’ zones - 314,400 tonnes. In the conventional areas and in the open part of the oceans – 164,000 (-57,000 tonnes, year-on-year). The number of fishing ships involved has decreased.